Reassurance shield after the 23 split. At one point, this was concurrent with US-31, but its southern terminus was shifted southwards. 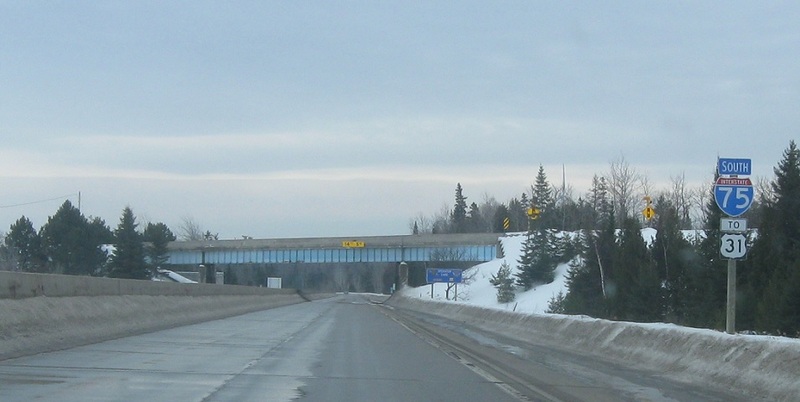 Reassurance shield as Mackinaw Hwy (old 31) traffic merges onto I-75 without access from I-75. 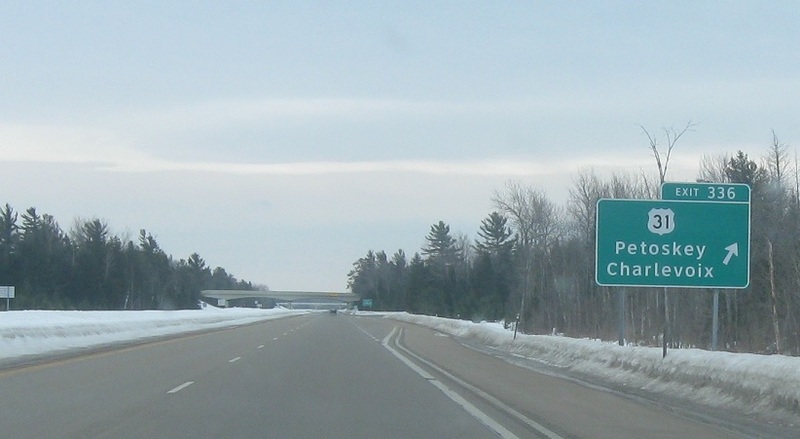 Just after that, we’ll approach the current northern terminus of US-31. 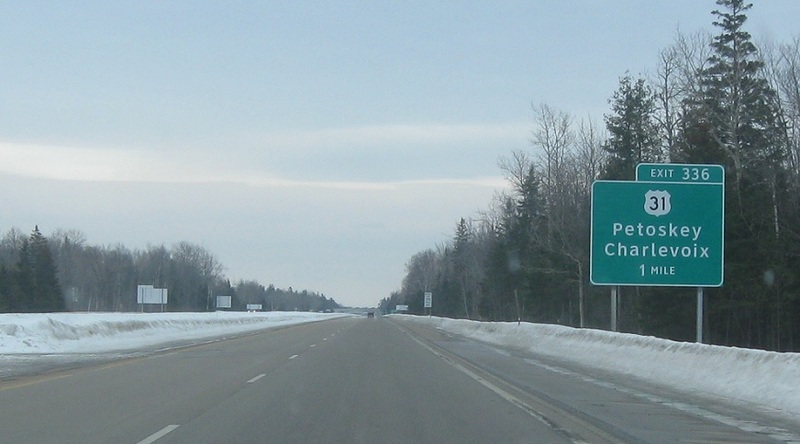 Exit for US-31, which heads south to Petoskey, Charlevoix, and Spanish Fort Ala.